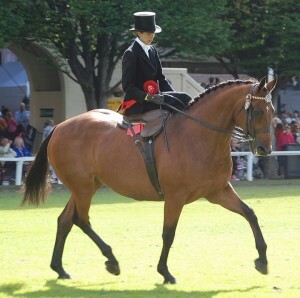 Our Association is devoted to the promotion & preservation of the fine art of riding side saddle in Ireland. We have a small but active club, we organize training clinics which occur regularly throughout the year as well as dozens of affiliated classes throughout the country. If you are running a show and would like to hold a side saddle class, please affiliate so that our members may compete for our annual points awards. Members can keep a record of their winnings by downloading a points sheet which must be returned by 30th September each year in order to be eligible for trophies, rosettes and prizes. If you have saddles or habits that you would like to sell, please contact us and we will advertise them here for you or buy them for use by the Association. Please see the various tabs on our website for further information and the necessary forms. We are currently in the process of becoming an affiliate club of Horse Sport Ireland and more details will be circulated to members shortly.